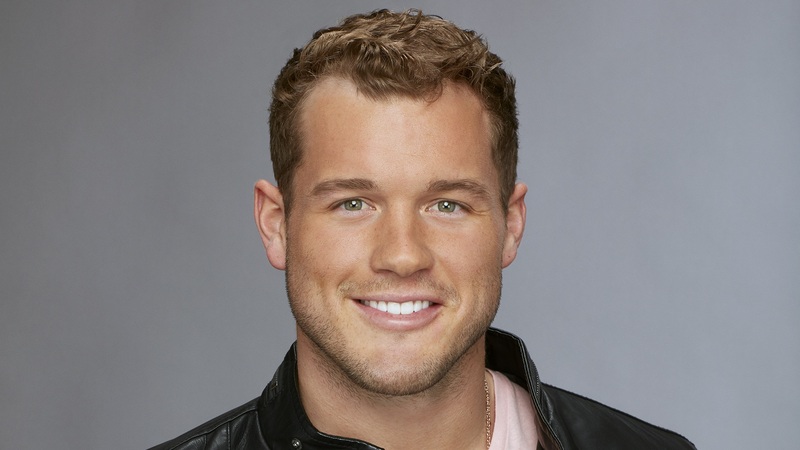 When ABC announced Bachelor Nation alumni Colton Underwood would be the star of The Bachelor season 23, fan reactions to the news were lukewarm at best. However, the first teaser trailer says Underwood is a "treat," with him twirling around in falling rose petals and even tossing candy into the air from a Halloween bucket. On Halloween 2018, ABC shared this first glimpse of Underwood as the Bachelor, playing on the tradition of trick-or-treat and even calling the show "The Boo-chelor." This prompted several people in the show's Instagram comments to use their own Halloween-themed language to express their anger at Underwood's selection, per Us Weekly. "Scariest thing I’ve seen all day," wrote one user, who also used a thumbs-down emoji. Another added, "wt-actual-f is this? 1) The BOOchelor? Nope. 2) his dancing is embarrassing." Some fans even called for a boycott of the upcoming season because they're so displeased with the choice. However, plenty of others commented on how good Underwood looks in the promo. One person even reflected on his controversial history with Bachelor Nation. "I like Colton…" they wrote. "I hope he is able to find happiness… we all deserve that. Tia was not for him. TV pushed them together." Underwood first appeared as a contestant on Becca Kufrin's season of The Bachelorette, on which he made it to "fourth place" before he was sent home. Then Kufrin's friend, Tia Booth, another Bachelor contestant, admitted she had feelings for Underwood (the two met when he was cast for Kufrin's season). Both Underwood and Booth starred in the latest season of Bachelor In Paradise, on which their on-again, off-again relationship became a central storyline. However, Underwood ultimately couldn't commit, so he left Paradise. According to Us, he was tapped to be the next Bachelor one day later. Now that filming for The Bachelor season 23 is well underway and fans are getting more glimpses of Underwood playing his part, the jury is out on whether or not he'll win their hearts in the end. The Bachelor returns to ABC in January 2019.